Happy New Year’s Eve… Eve! 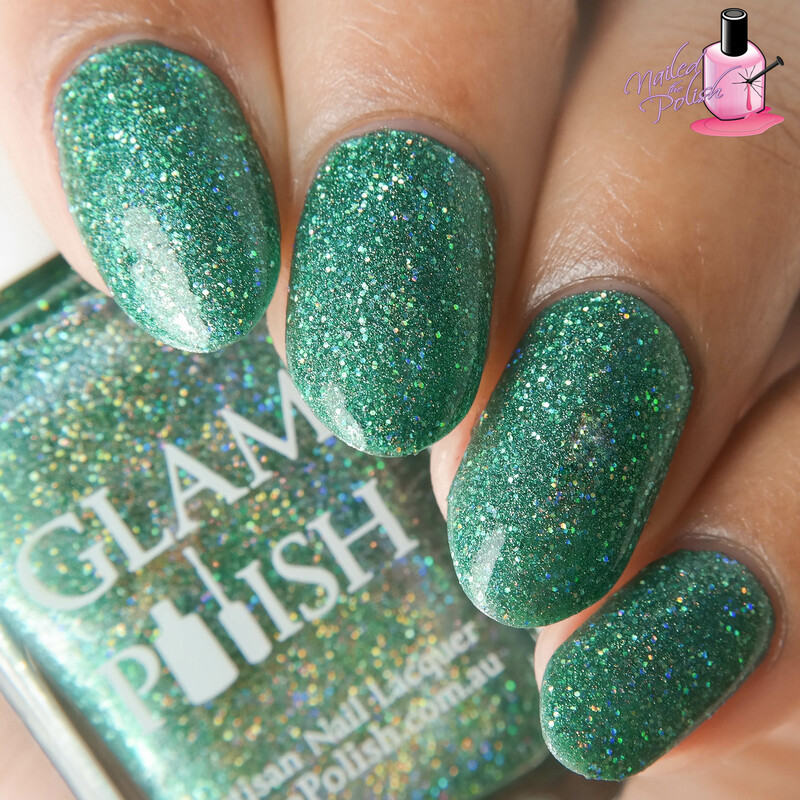 🙂 Today I have for you swatches of Glam Polish‘s newest collection – Alphabet City – inspired by the Broadway musical Avenue Q! This fun and bright holo micro glitter 9-piece collection releases January 1st! All swatches were taken indoors under a combination of Cree daylight and LED bulbs using a Samsung NX300 camera. All swatches shown are two coats plus top coat. 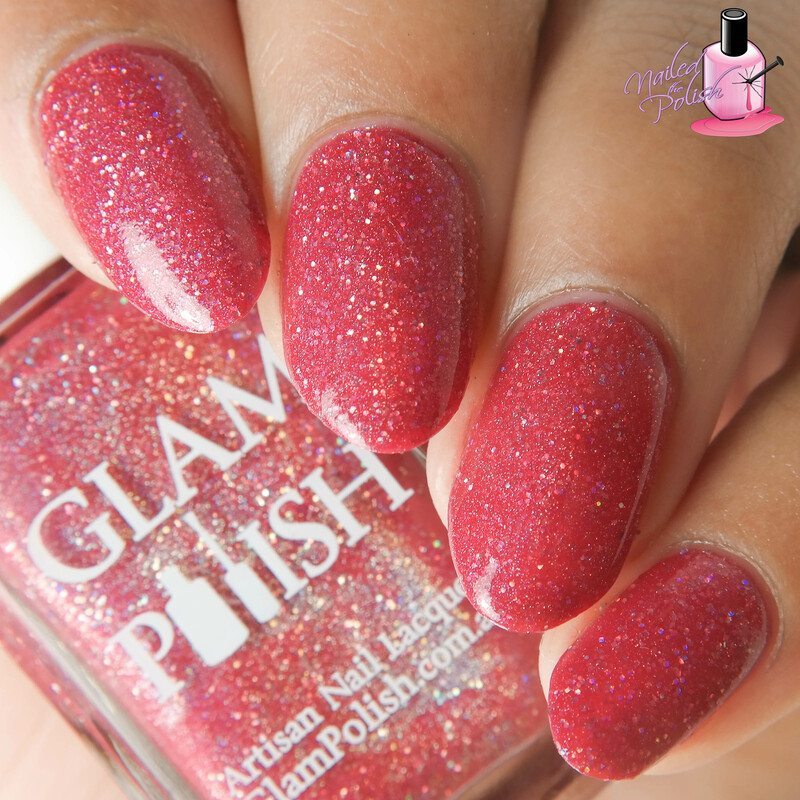 First up is The Internet is for Pourn – a pink leaning bright red holographic micro glitter. I’m usually not one for reds but this one caught my eye immediately and I fell madly in love when I applied it! I’m thinking it’s the pink leaning hue that makes it more appealing to me. This shade is one of my favorites from the collection – I’ve already worn it on several occasions! Easily one of my favorite red polishes that I own! Loud As the Hell You Want is a coral orange holographic micro glitter. This shade compliments my skin tone so well especially for it being an orange! This is another polish where I’m obsessing over the hue ❤ I love that the micro glitters work so well with this color yet still stands out. Schadenfreude is a bright chartreuse holographic micro glitter. This is by far the prettiest chartreuse polish I’ve ever laid my eyes on! Not only is this a beautiful polish, it’s also so much fun! I’ve seen this polish on quite a few skin tones and let me tell you – it’s stunning! This is an unexpected favorite! School for Monsters is a gooooorgeous grass green holographic micro glitter and is the most holo polish in the collection. I L-O-V-E this one so, so much! The holographic micro glitters transform into a multitude of colors in this grass green base which gives it so much depth. I did not want to take this one off! Not Wearing Underwear is a bright aqua holographic micro glitter. This polish speaks to my heart! I am so hypnotized by it’s magnificent aqua color! This is a shade that I’m definitely going to be using often. Simply beautiful! Mix Tape is a perfect amethyst holographic micro glitter. It’s so delicate yet so bold at the same time! If you’re a purple lover, you definitely NEED this one! 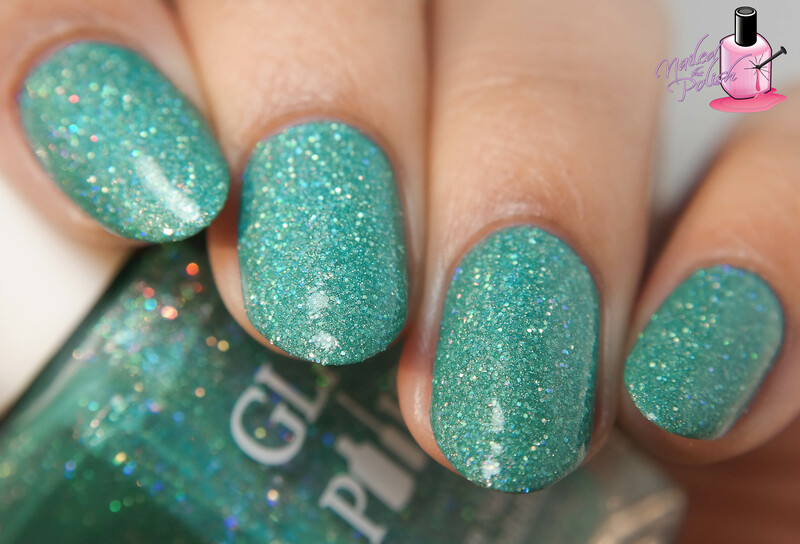 So many holo glitters – I LOVE IT! Special is a vibrant fuchsia holographic micro glitter. I love the contrast of the holo glitters with the fuchsia base! Another polish that I think is very fun! The More You Ruv Someone is a delicate baby pink holographic micro glitter. I did not think I was going to like this one as much as I do! There’s something about the daintiness of this baby pink shade that I absolutely adore. I think this will look great paired with a bold stamped image on top! My picks are be The Internet is for Pourn, Schadenfreude, School for Monsters, and Not Wearing Underwear. The Alphabet City Collection releases this Friday, January 1st, at 1pm EDT. They will be available for purchase here. Shipping is available to Australia, France, and the US. US shipping rates are $3.50 USD for the first polish and $1.00 USD for each additional polish. For more on this collection (and their purple trio also launching this Friday!!) 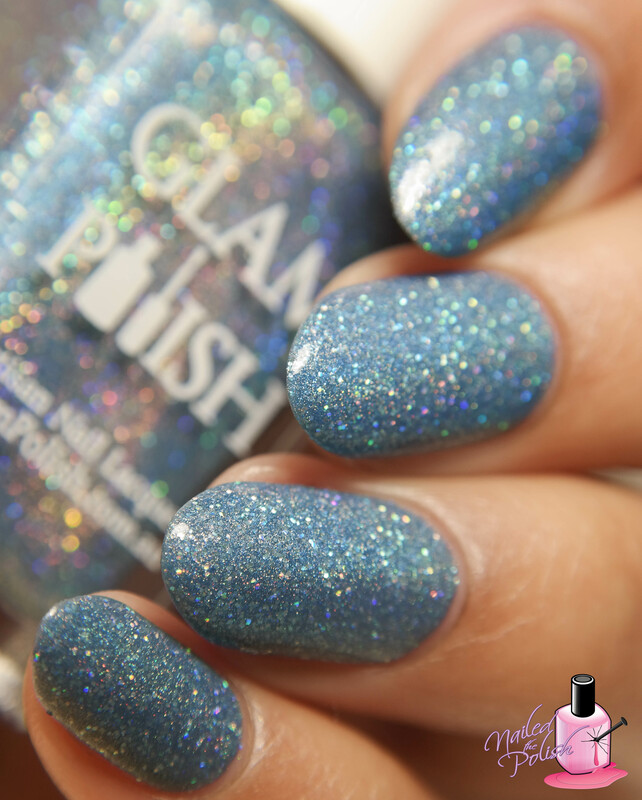 you can check out Glam Polish on Twitter, Facebook, and Instagram! What do you think about this Avenue Q inspired collection? Will you be picking any up during Friday’s launch?